The Granada looks like they are continuing to bring quality shows again next year. 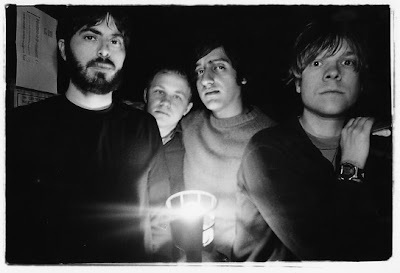 Hearing that Explosions in the Sky are playing the Granada made me very happy, especially since their show last year at the Bottleneck was extremely crowded and, according to one of the bartenders, sold out in a week or two. I know I say this quite a bit but if you aren't familiar with this Austin band please go immediately and purchase their 2003 album The Earth Is Not A Cold Dead Place. It is without a doubt one of the ten best albums of this decade so far. Live Explosions in the Sky are a sight to see and put on one of the best sounding shows you are bound to see.